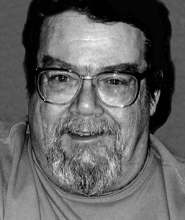 MIDDLETON-James W. "Jim" Weber, age 67, passed away on Dec. 14, 2018. A Celebration of Life will be held at Rex’s Innkeeper, 301 N. Century Ave., Waunakee, from 1 p.m.-4 p.m. on May 5, 2019. Casual clothes are suggested. Please share this Celebration with friends and family. Memories and stories of Jim can be shared at www.gundersonfh.com and on May 5. 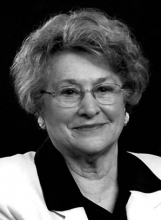 MIDDLETON/APPLETON–Lois Hietpas died peacefully on March 25, 2019 in Appleton, WI at age 84. She was born on August 13, 1934, and grew up in Kimberly, WI. She graduated from Kimberly H.S and soon began office work at Kimberly Clark. She married Claude Hietpas of Little Chute, WI in 1956. Lois and Claude lived in Milwaukee for five years, then moved to the Madison-Cross Plains area where they raised four daughters. As the family grew, they were overjoyed to welcome four grandchildren. After many happy years together, Lois’s husband died in 1993. She continued to devote herself to family, her work managing a convenience store in Middleton, outings with dear friends, and her church. Almost 50 years after settling her family in Cross Plains, Lois moved back to the Fox Valley and enjoyed being near her sister and many relatives. 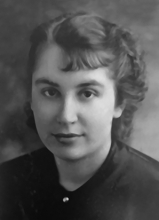 BLACK EARTH -Eleanor Hugins Asmuth of Black Earth, WI. passed away peacefully April 1, 2019 at Sauk Prairie Hospital after a short illness. She was 96. WAUNAKEE/CROSS PLAINS—Ronald H. Gorst, age 81, of Waunakee, passed away on March 19, 2019 at St. Mary’s Hospital. He was born on June 30, 1937, in Madison, WI., the son of Harold and Beulah (Farr) Gorst. Ronald attended St. Francis Xavier Catholic school in Cross Plains. He enlisted in the U.S. Army while in high school and later served two tours during the Vietnam War. Ronald was a member of Cross Plains American Legion Post 245. 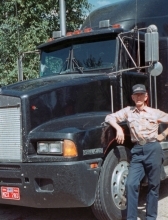 Ronald was a life-long independent trucker. He enjoyed hunting and fishing with family. He was most comfortable at home, having friends and family visit. He reluctantly enjoyed his retirement, having given up the road too soon. Ronald is survived by son, Jason (Jessica) Gorst; brothers, Francis Gorst and Roger Gorst; and sister, Margaret Mason. He was preceded in death by his parents. Services for Ronald will be private. 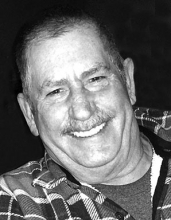 BLACK EARTH/CROSS PLAINS–David Fehr died unexpectedly at home in Black Earth on March 16, 2019. Dave was born July 8, 1942 in Chicago, IL., to parents Ardath (Streed) and Alfred Fehr. In August 1965 Dave married Roberta Reich. They raised their family in Cross Plains, WI. Dave graduated from the University of Illinois in 1966 with a M.S. in Civil Engineering. With degree in hand, he was off to Wisconsin to build roads and bridges for the DOT. It was a short career of about two years when he was offered a position in the newly organized computer section of the Division of Motor Vehicles. That's where he found his niche, writing programs and systems for the DMV and the engineers building the roads and bridges. 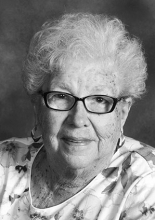 MIDDLETON/BLUE MOUNDS–Bette M. Johnson formerly of Blue Mounds and Mount Horeb died on January 19, 2019 at Attic Angel Health Care Center where she had been a resident the past five years. A celebration of Bette’s life will be held at Attic Angel Care Facility on April 5, 2019 from 1-3 p.m. A short service will begin at 1:15 p.m. If you knew Bette, volunteered with her or were touched by her outpouring of caring and compassion, please feel free to join the family at this tribute. 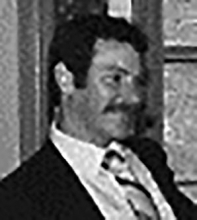 MIDDLETON–James Oliver Williams quietly passed away on March 12, 2019. He was 63 years old. He is preceded in death by his parents, Oliver and Marilyn (Poetzl) Williams and survived by daughters Clare and Dana Williams, brothers Clifford (Colleen) Williams, Glen (Lynne) Williams, sister Gail (Robert) Schmiedlin, along with many other family and friends. May you rest in peace in God’s loving hands. A small, private service will be held at a later date. In lieu of flowers, donations may be made in Jim’s memory to the Dane County Humane Society, 5132 Voges Road, Madison, WI 53718. Please share a memory at www.CressFuneralService.com. 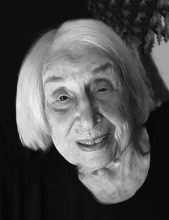 MIDDLETON – Joanne L. Graham, 89, of Middleton, WI., lover and writer of poetry, joined the love of her life Arthur in their next life on Feb. 26, 2019. Joanne was born in Salina, OH, on July 23, 1929, daughter of Ervin and Edith Otto. Among the many places she and Art lived were Saginaw, MI., Green Bay and Baileys Harbor, St. Simmons Island and Brunswick, GA. and, finally, Middleton. She was heard to say, “I’m not moving again!” Jo was a devout Christian woman and the daughter of Lutheran Minister. 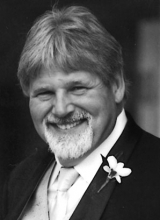 WAUNAKEE–Dan Pawlak, age 60, of Waunakee passed away surrounded by his loved ones on Feb. 25, 2019 at home. He was born on March 20, 1958 in Hammond, IN the son of Frank and Josephine (Schuster) Pawlak. He married Lynn Miller on Oct. 9, 1987 in Reno, NV. Dan graduated from University of Michigan, Kalamazoo, with a bachelor’s degree in biology. He was the V.P. of Operations for a pharmaceutical company until his retirement in April of 2017. Dan’s hobbies were endless, but his favorites included flying, woodworking, competitive shooting, and riding motorcycles. Next to his family, Dan’s second love was being in the North Woods. Survivors include his wife, Lynn; daughter Kelsey (Jake) and son, Stuart; sisters Renee (John) Reback, Karen (Bill) Ross, and numerous nieces and nephews. A Celebration of Dan’s Life will be held May 4, from 12-4 pm at Morey Airport, 8300 Airport Road, Middleton. MIDDLETON-Helen Lucille Regan, age 101, passed away on Feb. 23. She was born on July 3, 1917 in Chaseburg, WI., the daughter of John Henry and Matilda (Ericson) Krause. In 1938, she married Joe “John” Regan. Helen grew up on a farm in Valley. She graduated from High School in Hillsboro as valedictorian of the class of 1935. She then worked as a waitress in La Crosse, and in 1945, during WWII, she began work at the Post Office of the Badger Army Ammunition Plant. She later became Post Master at a time when very few women held such a position. She remained there until 1957 when they closed the plant. She then came to work at the Middleton Post Office as a clerk until retiring in 1979 after serving 30 years. Also, during her time in Middleton, she worked for Gimbels Department Store which became Marshall Fields and retired from there after 25 years.